Thwaites Plastering and Maintenance - Painter/Decorator, Plasterer based in Whyteleafe, Surrey. 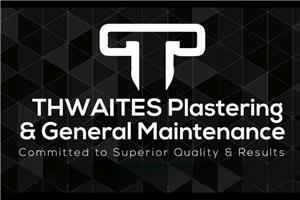 Thwaites Plastering and Maintenance is a local family run company based in Whyteleafe. We pride ourselves on the highest quality of work and customer satisfaction. We are honest, fast, reliable, clean and tidy. Fully qualified plasterers with over 15 years experience, we undertake all aspects of plastering, rendering, painting & decorating, basic carpentry (skirting, architrave, coving), tiling, guttering and soffit's. Being based in Whyteleafe, we cover all surrounding areas including; Croydon, Lingfield, Oxted, East Grinstead, Crawley and Reigate amongst others. We are very competitively priced and happy to provide advice over the phone. Please call to discuss your requirements and arrange a free no obligation quotation.